IG Wines are delighted to have been asked to host two events with Dom Perignon at their pop up boutique in Claridge’s during London Frieze Festival. 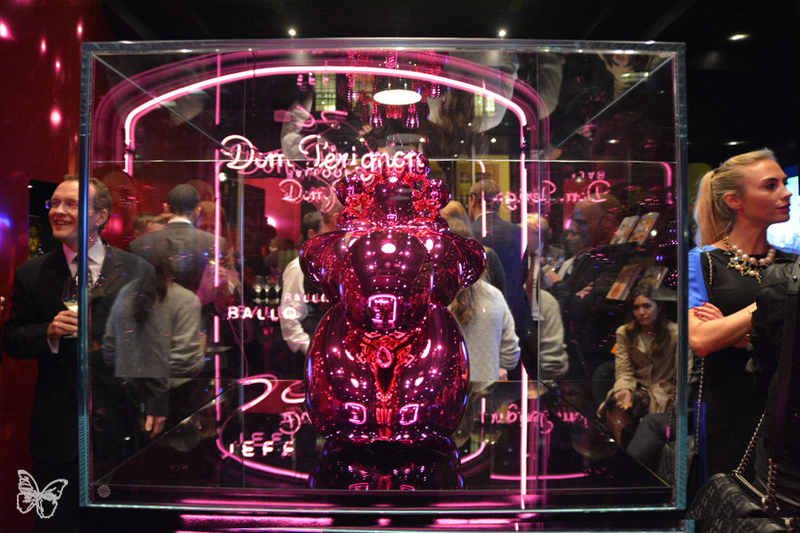 The purpose of the event was the launch of the Dom Perignon 2003 Rosé Jeff Koons Limited Edition and the Jeff Koons Limited Edition 2004 Blanc. Dom Perignon is one of the world’s strongest drinks brands and their Rosé and Blanc together are two of the greatest prestige cuvees in Champagne. Dom Perignon’s savoir-faire in winemaking continues to push boundaries and in 2004 they produced one of their greatest ever vintage Champagnes, critically acclaimed and hugely sought after in the market, it parallels the epic 1996. The 2003 Rosé represents wonderful wine making in a very warm year in France, Dom Perignon have pushed the envelope producing an incredibly fragrant Champagne reminiscent of a red Burgundy, with Ripe red fruit, notes of strawberries and cream and a voluptuous mouthful. The colour of the Rosé is simply beautiful, a metallic cooper, reminiscent of raw materials used in art. Art and wine have long been associated, both subjective but rewarding. However, apart from a wine’s colour, the medium for enjoyment are its sensory flavours; gustatory perception: in comparison art is visual. Both are forms of human expression and emotive. 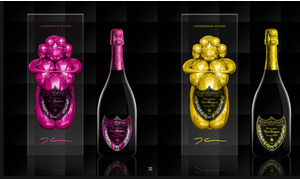 Dom Perignon therefore, are striving to extend the visual, partnering with world famous artists to represent their great cuvee through art; David Lynch created the 2002 Rosé and the studio of Andy Warhol the Limited Edition 2002 Blanc bottles, which already costs £750 for a six bottle case. Jeff Koons is one of the world’s leading and renowned contemporary artists. In November 2012 Koons recorded one of the highest prices ever paid for a work by any living artist when a buyer paid $33.6 Million for his sculpture entitled ‘Tulips’. He is famed for shiny stainless steel works that take everyday images and represent them with a very current feel, using a hypnotic design to represent the complexity and beauty of the everyday lives we lead. At London Frieze Festival Koons drew headlines with the most converted piece entitled Sacred Heart; simply put whether you think he is one of the greatest living artists or slightly kitsch his cachet is growing, as are the value of his works. Koon’s 2003 Rosé sculpture Balloon Venus is inspired by the Venus of Willendorf, a tiny figurine discovered in Austria, dating back to 23,000 BC. Koons often revisits classic art pieces and this incarnation represents the 2003 Rosé perfectly. The intense colour and beautiful lines exhibit the maternal symbol of fertility obvious in the ancient figurine. It matches perfectly with the fertility of the vines which create vibrant champagne that takes years in bottle before being released to the market ready to be collected. The Balloon Venus sculpture is metallic and the top lifts off to reveal a holder for the Rosé bottle, representative of Venus’ womb. The sculpture is voluptuous so too is the Rosé. 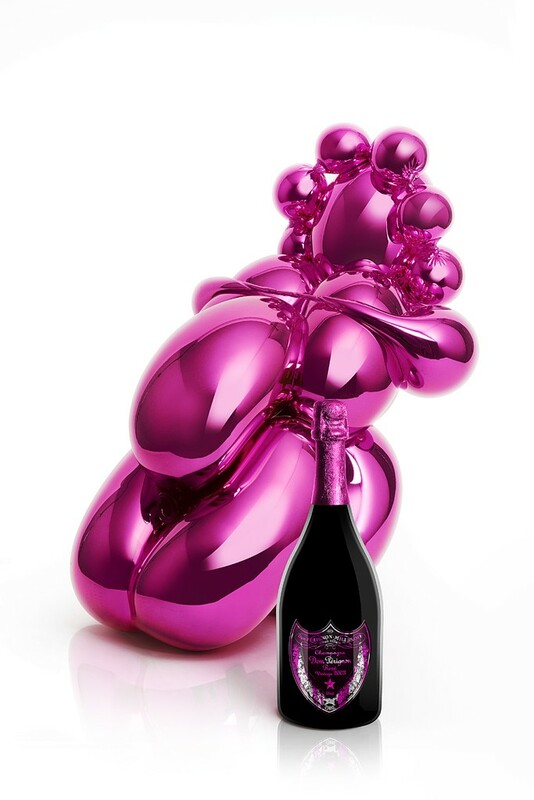 Dom Perignon and Koons are creating 650 ‘made to order’ editions which are selling for £15,500, of which over half have already been sold. The boxes of the Limited Edition Blanc and Rosé have been designed to simulate the interior of the original sculpture. The bottle bears a metallic label and the Koon’s signature appears on the box. These are extremely collectible and produced in very small quantities, we are proud to have access for our clients. The 2003 Rosé is rare and collectible, while the 2004 Blanc is one of their greatest ever efforts and both are set for price appreciation. In combination with Koons this is an extraordinary collector’s item and with the Warhol 2002 Blanc already edging towards £800 per case one can imagine the value to be had in collecting Koon’s Limited Edition Dom Perignon. The 2003 Dom Pérignon Rosé is another wine that has come together quite nicely over the last few months. Given the exuberance and sheer vinosity of the 2000 and the 2002, along with the ripeness of the year, and the heft of the 2003 Blanc, I expected the 2003 Rosé to be a much bigger wine. Instead, it is surprisingly delicate and medium in body. Dried flowers, crushed raspberries and sweet herbs waft from the glass in a Rosé that is all about sensuality. With time in the glass, the richness of the fruit becomes more pronounced, while the tannin from the red grapes is also noticeable. I would prefer to cellar the 2000 and 2002, and drink the 2003 sooner rather than later. The 2004 Dom Pérignon continues to develop beautifully. A vibrant, focused Champagne, the 2004 clearly reflects the personality of the year. Freshly cut flowers, white peaches and pears are woven together in a Champagne that impresses for its focus and energy. Chiseled saline note support the crystalline finish. I imagine the 2004 will always remain relatively bright and linear, but at the same time, each time I have tasted it over the last two years the 2004 seems to have a little more body and broader shoulders. The 2004 will appeal most to readers who find the 2002 and 2003 too exuberant. There is a lot to like in the glass.